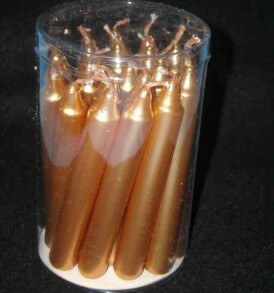 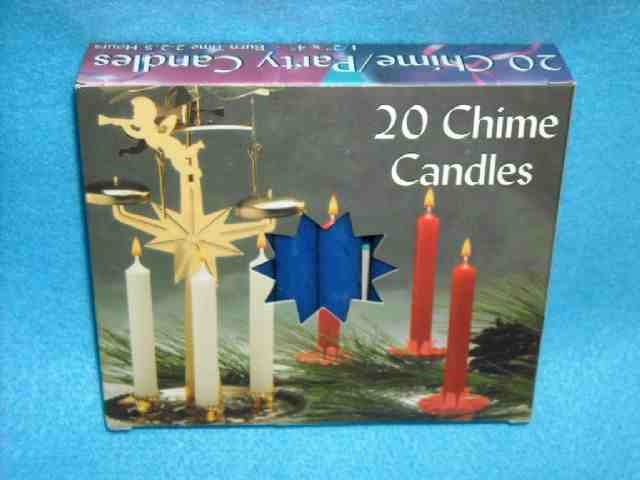 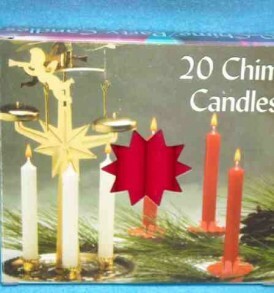 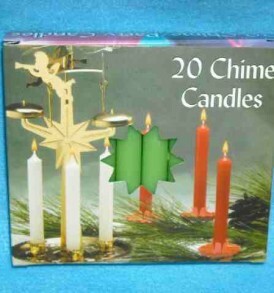 Here is a new box of 20 angel chime replacement candles. 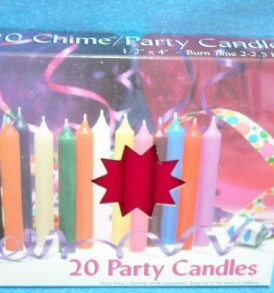 They are all dark blue. They are 1/2″ diameter by 4″ tall. 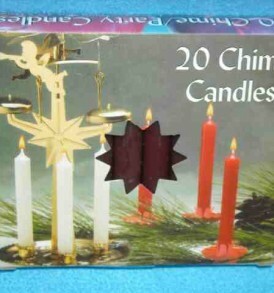 They are smokeless and dripless. Made in Germany. 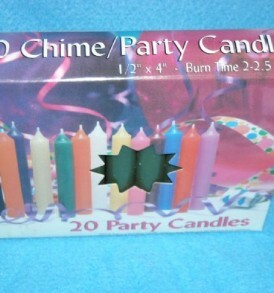 They burn approximately 2 hours.